This morning has seen me make my first ever lemon curd, using my coveted Kilner jars. I didn't realise it was so easy and it tastes fantastic! Put the lemon zest and juice, the sugar and the butter into a heat proof bowl. Sit the bowl over a pan of gently simmering water, making sure the water is not touching the bottom of the bowl. Stir the mixture every now and then and again until all of the butter has melted. Lightly whisk the eggs and the egg yolk and stir them into the lemon mixture. whisk until all of the ingredients are well combined, then leave to cook for 10-13 minutes, stirring every now and again, until the mixture is creamy and thick enough to coat the back of a spoon. Remove the lemon curd from the heat and set aside to cool, stirring occasionally as it cools. Once cooled, spoon the lemon curd into sterilised jars and seal. This recipe fills a 0.5l Kilner jar perfectly. So today brought my first acupuncture experience. 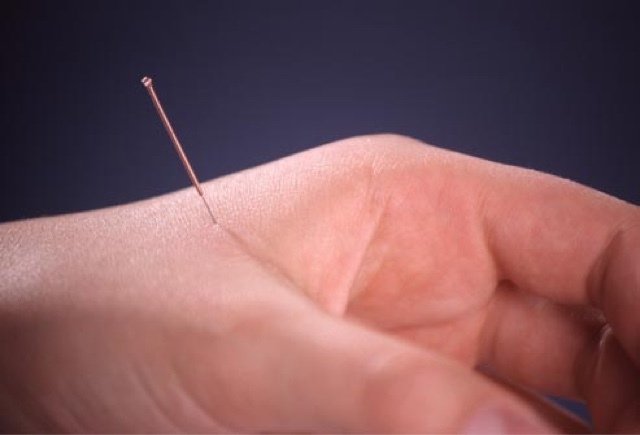 Having given up on the solutions offered by my GP I had my first acupuncture consultation. It was quite enlightening and yet not surprising at the same time. I had needles in my hands, legs and feet. None of them hurt but I did feel a dull ache from one of them. Looking forward to seeing some positive results in the future. I have had a lovely evening with a new pair of cheap nasty pumps and a sharpie pen. I wonder how many people will notice the kitties as i walk through the hospital tomorrow? I adore the stamps from Gorjuss. One of the main reasons is that it opens up the possibility to personalize your cards. Here is a card I have made this morning for good friend. She has lovely long hair that has been dip dyed. The grass is some what questionable but hey ho, that's hand made for you. I used my spectrum noir pens an pencils which can be bought HERE The shading is fantastic and they are so easy to use. There are also loads of tutorials online. Its a rare occurrence that I win something however, today that all changed. 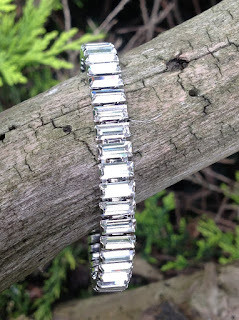 I am now the proud owner of this stunning Swarovski bracelet. 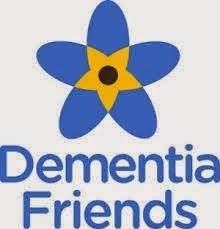 a BIG thank you to Stephen Arnold for picking me in their raffle. Click HERE to visit their website, If you like sparkly things I can guarantee you will be spoilt for choice and be amazed at all the different colours and shapes. What is it about the begining of Summer that stirs a need for different colours? 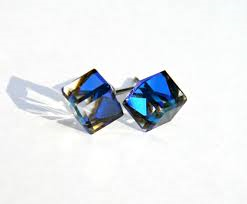 One of my best sellers at Namfas are these beautiful Swarovski cube earrings. They are so simple and yet so effective. 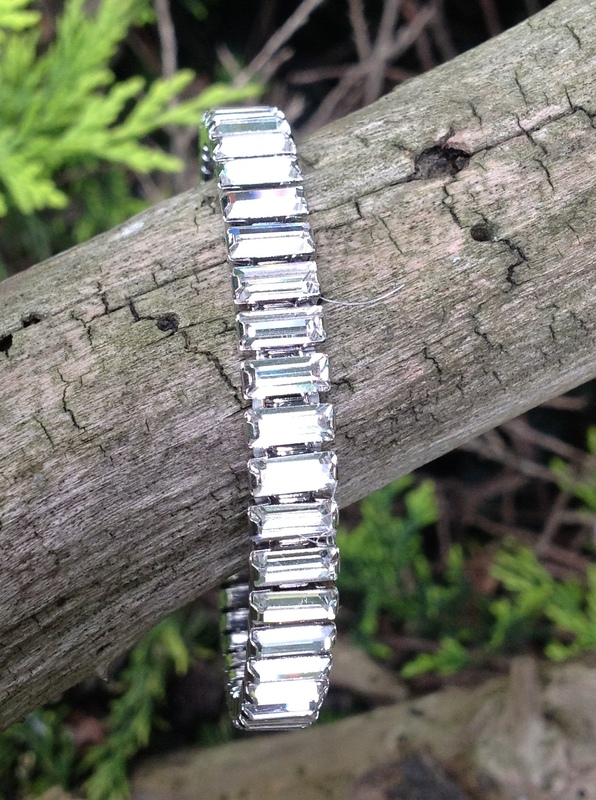 they come with the usual brilliant sparkle you would expect from Swarovski and also have a bit of a trick up their sleeve. From the side the crystals look clear and its not until you move your head that you see the deepest, richest blue you can imagine.